We take considerable precautions to assure the security and privacy of any information passed through our website, and we continually enhance our security measures as the online environment changes. Read more about how we keep your information secure below. A cookie is a small piece of information stored on your computer which helps us provide pricing and account information unique to you. The cookie contains no personally-identifiable information, and the information is further secured through encryption by SSL software to protect your privacy. You may be able to configure your browser or our website, application or service to restrict cookies or block all cookies if you wish, however if you disable cookies you may find this affects your ability to use certain parts of our website, applications or services. For more information about cookies and instructions on how to adjust your browser settings to accept, delete or reject cookies, use a search engine on how to manage cookies on the browser of your choice and you will find detailed instructions on how to do so. 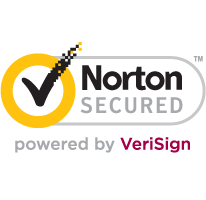 All sales at our site are protected by VeriSign™ Secure Server ID technology, which assigns our server a unique digital ID. This assures you that our site is registered and authentic. 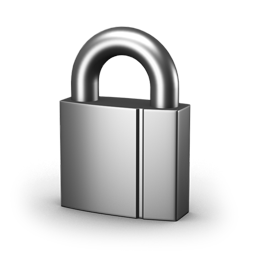 It also means that all information passed back and forth is encrypted to protect your privacy and security. To verify that your private information is protected through SSL technology, look for the "s" (for "secure") after "http" in the address bar and for the padlock icon. On pages where no confidential information is exchanged, the "s" and padlock icon are not displayed. VeriSign’s SGC-enabled SSL Certificates provide 128- or 256-bit encryption to over 99.9% of Web site visitors, including the tens of millions who use certain older versions of Windows® and Internet Explorer®. Many of the world&apos;s largest banks, Fortune 500 companies, governments, and public institutions trust VeriSign™ to secure their sites and protect their brands. Carolina is proud to announce that our website has attained Payment Card Industry-Data Security Standard (PCI-DSS) compliance. This means that when you shop at Carolina.com, you can rest assured that you or your institution&apos;s credit/purchasing card and personal information is completely safe and secure. The PCI-DSS standard was developed by the PCI Security Standards Council to establish consistent data security measures around the globe and further ensure that your credit card data, account and transaction information is safe from hackers or any malicious system intrusion.